The Survey of Organizational Research Climate (SORC) is a validated tool to facilitate promotion of research integrity and research best practices. This work uses the SORC to assess shared and individual perceptions of the research climate in universities and academic departments and relate these perceptions to desirable and undesirable research practices. An anonymous web- and mail-based survey was administered to randomly selected biomedical and social science faculty and postdoctoral fellows in the United States. Respondents reported their perceptions of the research climates at their universities and primary departments, and the frequency with which they engaged in desirable and undesirable research practices. More positive individual perceptions of the research climate in one’s university or department were associated with higher likelihoods of desirable, and lower likelihoods of undesirable, research practices. Shared perceptions of the research climate tended to be similarly predictive of both desirable and undesirable research practices as individuals’ deviations from these shared perceptions. Study results supported the central prediction that more positive SORC-measured perceptions of the research climate were associated with more positive reports of research practices. There were differences with respect to whether shared or individual climate perceptions were related to desirable or undesirable practices but the general pattern of results provide empirical evidence that the SORC is predictive of self-reported research behavior. The authors wish to acknowledge the excellent work of Shannon Donald in several key aspects contributing to this manuscript including project coordination and sample frame development. This research was supported by Award Number R21-RR025279 from the NIH National Center for Research Resources and the DHHS Office of Research Integrity through the collaborative Research on Research Integrity Program. The content is solely the responsibility of the authors and does not necessarily represent the official views of the National Center for Research Resources, the National Institutes of Health, or the Office of Research Integrity. There are no conflicts of interest for any of the coauthors of this manuscript. The study protocol was approved by the Regions Hospital Institutional Review Board, the oversight body with responsibility for all research conducted at HealthPartners Institute for Education and Research, and by the University of Arkansas for Medical Sciences Institutional Review Board. Council of Graduate Schools. (2011). Project for scholarly integrity [WWW Document]. http://www.scholarlyintegrity.org/ShowContent.aspx?id=402. Leape, L.L., (2010). Transparency and public reporting are essential for a safe health care system. New York: The Commonwealth Fund. http://www.commonwealthfund.org/Publications/Perspectives-on-Health-Reform-Briefs/2010/Mar/Transparency-and-Public-Reporting-Are-Essential-for-a-Safe-Health-Care-System.aspx#citation. Martinson, B. C., Thrush, C. R., & Crain, A. L. (2012). Development and validation of the survey of organizational research climate (SORC). 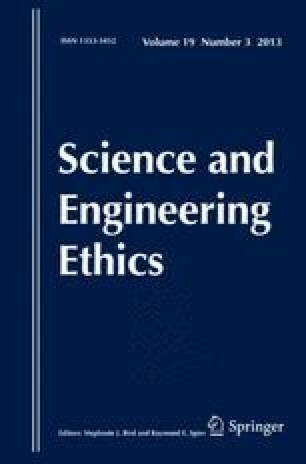 Science and Engineering Ethics. doi: 10.1007/s11948-012-9410-7. Office of Science and Technology Policy. (2000). Federal policy on research misconduct. http://www.ostp.gov/cs/federal_policy_on_research_misconduct [WWW Document]. Steneck, N., & Mayer, T. (2010). Singapore statement on research integrity [WWW Document]. http://www.singaporestatement.org/.